Google, the Mobile Search innovators given the top award selected by Juniper Research as Gold winner in the Future Mobile Awards for mobile search category in Hampshire, UK. The Future Mobile Awards are given to companies that have made a significant contribution to their sector and are poised to make considerable market impact in the future. The gold award recognises Google as being a leading light in the development of the sector. We're excited to hear that our mobile search has been recognised by the Future Mobile awards 2008. We're passionate about helping people find the information they need quickly and easily, wherever they are, and mobile search is an important part of that. Dr Windsor Holden, panel judge and Principal Analyst at Juniper Research says, "Through the development of Google Mobile, Google has provided consumers with a user-friendly interface and applications which have successfully translated its appeal in the fixed environment into the mobile space. Furthermore, its release for the iPhone - integrating its multiple services into a single interface - has provided additional enhancements to the user experience." The awards were granted by a panel of expert judges based on a number of criteria, including: Innovation; Customer retention and growth; Commercial deployment; Ease of use/user interface; Revenue generation; Pricing (for services/products); and Capability/functionality. Gold and Silver awards were conferred for each category - Gold awarded to Google, and Silver to JumpTap - within the mobile search category. Sara Rowghani, product marketing manager for Google's mobile programmes in Europe, said "We're excited to hear that our mobile search has been recognised by the Future Mobile awards 2008. We're passionate about helping people find the information they need quickly and easily, wherever they are, and mobile search is an important part of that." Google provides a wide range of search, ads and apps products for both desktop PCs and mobiles. Stay connected on the go with Google Mail, Search, Maps and other Google products. To find out what products you can get on your phone, visit m.google.co.uk from your phone browser. For press enquiries please contact Anthony House at house@google.com. Sixteen channel PCI Express frame grabber from Sensoray captures up to 480 frames per second. 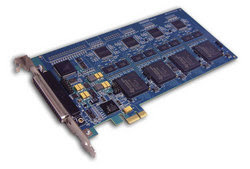 Sensoray announced the newest addition to their extensive line of OEM video capture cards with the release of their Model 817, PCI-Express JPEG frame grabber. The 817 is a PCI Express x1 card that captures 16 separate channels of compressed JPEG or uncompressed bitmaps at 480 total frames per second, or 30 frames per second on all 16 channels simultaneously. The board provides complete capture flexibility, all capture parameters can be set independently for each capture channel. The 817 supports x1 or wider (x4, x8, x16) PCI Express slots. An internal crosspoint 16 X 4 analog crosspoint video switch is used to route any combination of four input channels to external video monitors. Each of the four video outputs can be individually turned on or off allowing the outputs of multiple 817's to the same monitor. Model 817 contains four identical video capture and processing units (VCPU), each of which handles 4 input video channels. Each VCPU employs a 4-channel video decoder to convert analog video into digital, and a powerful digital signal processor (DSP) to capture digitized video and handle various processing tasks: frame decimation, caption overlay, JPEG compression, status reporting, etc. An optional single line text caption of up to 80 characters can be overlaid on the captured image before compression. Sensoray provides an SDK for the 817 that includes drivers and demo applications for both Windows and Linux operating systems. OEM quantity pricing for the 817 is $705. Lower quantity pricing is also available. Sony Ericsson today announced the expansion of its carrier channels in the U.S. to include wireless leader T-Mobile USA, starting with the launch of the TM506 in early September. Sony Ericsson will now reach more than 31 million wireless subscribers through this partnership. 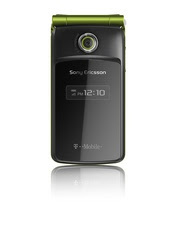 The TM506, Sony Ericsson’s first handset supporting T-Mobile’s AWS spectrum (1700/2100), is a compact and stylish clamshell phone that delivers an exceptional Web experience in an eye-catching design. With an all around eye catching design, the TM506 was created for on-the-go consumers who want to express personal style with a feature-rich handset fully loaded for a multimedia experience. Users can reflect their personal fashion sense, choosing between Chrome with Amber or Emerald highlights with a sleek ebony gloss. The TM506 proves that good things come in small packages. Its compact design fits into any pocket, purse or briefcase for consumers on the move. An outer display allows users to glance at the caller ID without having to open the phone, and the compact handset is packed with 3G download speeds for faster access (in select markets) to media and content viewing anytime, anywhere. Users can store their favorite tracks and share music with their friends using the removable Memory Stick Micro™ (M2™). Plus, it's easy to keep up with the latest news and weather information with customizable Web feeds. Users can capture and share special moments as photos or video clips with a 2.0 megapixel camera with My Album, slide show and video blogging capability. Stereo Bluetooth® connectivity allows hands-free wireless calls, and with Bluetooth® stereo headphones, users can hear their favorite music the way it was meant to be heard. A built-in GPS navigation feature in the TM506 along with the TeleNav® application from T-Mobile allows users to always know their location. T-Mobile consumers have numerous messaging and communication options such as sending pictures, videos, IM notes and e-mail from their TM506 to their faves from the homescreen with T-Mobile myFaves®. 1) Talk and standby times are affected by network settings, type of SIM card, connected accessories and various activities e.g. games. 2) Web feeds, text and e-mail require an appropriate T-Mobile data plan. The liquid identity logo is registered trademark of Sony Ericsson Mobile Communications AB. Sony, Memory Stick Micro and M2 are trademarks or registered trademarks of Sony Corporation. Ericsson is the trademark or registered trademark of Telefonaktiebolaget LM Ericsson. Bluetooth is a trademark or registered trademark of Bluetooth SIG Inc.
Other product and company names mentioned herein may be the trademarks of their respective owners. Sony Ericsson Mobile Communications AB, 2008. 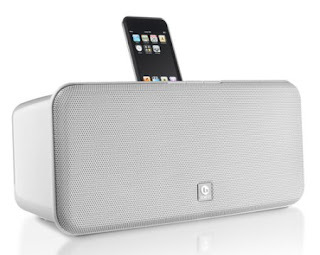 New iPod® Speaker System from Boston Acoustics, Inc. Looking into details iPod® Speaker System is stylish and compact solution for bringing the music of any Apple® iPod® to life in great room-filling stereo sound. With built-in dual 3 1/2” full-range speakers and 60 watts of dynamic power, the Horizon i-DS2 is a high performance system with deep powerful bass and crisp clean stereo sound that lets users dock and charge their iPods while listening to their favorite music. And reflecting Boston Acoustics’ Play Smart™ attitude, the i-DS2 features the company’s innovative P.O.P. design concept, which lets users quickly and easily change the look of their unit to match any room’s décor using a variety of different colored speaker grilles. The Boston Acoustics Horizon i-DS2 iPod Speaker System features a hip and compact (5 ½” x 12 ¾” x 5 13/16”) one-piece design geared toward the needs of today’s design-conscious, music-everywhere oriented consumer. With its appealing high gloss cabinet design and perforated metal front grille, the i-DS2 combines contemporary design with extraordinary performance. To ensure the highest quality audio performance, the i-DS2 features an acoustically tuned chamber for maximum bass response. For total flexibility, the universal iPod dock accommodates any model iPod, and the ergonomically designed “mini remote” gives users easy “across the room” access to familiar iPod commands. The Horizon i-DS2 features a composite video output that also lets users show off photos and videos from any video-capable iPod on their TV. In addition, a USB connector allows for iPod communication with iTunes and an auxiliary input allows connections to other media players as well. The Horizon i-DS2 iPod Speaker System comes in either gloss black or gloss white, with matching perforated metal grilles. However, to make it easy for customers to individualize the look of their i-DS2 and match it perfectly to the décor of any room in the house, today or anytime in the future (kitchen, den, bedroom, bathroom), it features Boston Acoustics’ new Personal Options Plan (P.O.P.) design concept. P.O.P. lets users customize the look of their i-DS2 by offering optional metal grilles available in a wide variety of colors, including Glacier, Rosebud, Onyx, Pearl Gray, Caramel, Chocolat, Silver, Spanish Moss, Olive and Chili Pepper. To purchase a new grille, customers can simply visit the Boston Acoustics website www.bostonacoustics.com and select the color of their choice or contact those dealers that will be stocking the grille color options. Redmond (WA) – Microsoft is aiming Windows 7 the new upcoming operating system for a late 2009 or early 2010 release (and according to our sources Q4 is the targeted time frame, since Microsoft does not want to miss the Christmas season again). If the company will be out by Christmas 2009, it will beat Apple in its own game, being the first to bring multi-touch user interface to the PC market. Apple's next OS X version dubbed Snow Leopard is schedule for an early 2009 released. For the first time, Apple's OS X won't be focused on new end-user features. Instead, Apple said it will optimize OS code, re-write it for full 64-bit support and support GPUs for general-purpose processing tasks. Cool features watch Windows 7 (seven) preview, the first Official Video below.. There is no denying that the initial news about Windows 7, Vista’s successor, weren’t especially great for Microsoft. Vista is by far not as successful as Microsoft would have hoped and Windows 7 will have to carry the company until a completely new operating system, speculated to be code-named Midori, will be available. So, will Windows 7 be another Vista? Will it lag behind OS X Snow Leopard? Is multi-touch UI really as great as Microsoft claims it will be? It seems that Microsoft is now confident enough to offer a sneak peek at the new Windows features at its upcoming developer and hardware conferences in October and November. It even set up an official Windows 7 blog on which senior engineers promise to discuss the operating system with users. It is a different approach than what the company took with Vista and appears that the wave of Vista criticism has had an impact. Microsoft said that it will publicly reveal details and "in-depth technical information" about Windows 7 to developers attending its Professional Developers Conference (PDC) set to take place from October 26-29 and at the Windows Hardware Engineering Conference (WinHEC) scheduled for November 5-7. 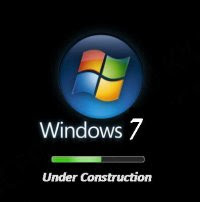 Writing on the new Windows 7 blog, Steven Sinofsky and Jon DeVaan, senior engineering team leaders, pledged to document the pace of development and offer a peak at Windows 7 features in the works from time to time. "With this blog we're opening up a two-way discussion about how we are making Windows 7," the company wrote. "We strongly believe that success for Windows 7 includes an open and honest, and two-way, discussion about how we balance all of these interests and deliver software on the scale of Windows. We promise and will deliver such a dialog with this blog." It is quite apparent that Microsoft will be gauging early interest for the yet-to-be-revealed Windows 7 features and establish a measure to control or at least balance the news flow about Windows 7. Actual information coming out of this blog may actually be not as comprehensive as Windows might expect, as the authors said they will "not set expectations around the release that end up disappointing," like "features that don't make it, claims that don't stick, or support we don't provide." So far, Microsoft kept a low profile on Windows 7 features. In terms of the base technology, we know that its kernel will be based on Windows Server 2008 kernel, which is an evolution of the Windows Vista kernel. It will keep the current driver model and will not be able to tap GPU for general-purpose computing. In short, Microsoft decided to play it safe and keep the Windows foundation in place. The new operating system comes in times when Microsoft is facing increasing competition on its own soil, especially by Apple whose OS X now leapfrogs Windows in terms of features and innovation. We can already hear Apple and pessimists saying that Windows 7 will be little more than a giant Windows Vista patch that uses multi-touch support as a sales pitch. In fact, the only end-user feature that was promoted to this point was a multi-touch interface that will support multi-finger gestures in Windows, similar to the iPhone. Multi-touch will not be the default input method, but it will improve user interaction in all applications if the user chooses to use it. For example, you will be able to play a virtual piano by touching virtual keys on the screen, easily drag photos around the screen, rotate and zoom photos with two fingers and employ other multi-touch-based gestures to manipulate objects on the screen. The company first demonstrated these features at the WSJ's D: All Things Digital conference in May. Lenovo's ThinkPad W700 will be available in stores this September, offering consumers a high performance mobile workstation with a great capacity for graphic design and digital content creation. "Lenovo has engineered a new breed of mobile workstations with the ThinkPad W700," said Peter Hortensius, senior vice president, Notebook Business Unit, Lenovo. "No other PC manufacturer delivers the sheer quality, power and performance and cutting-edge innovation packed into this mobile workstation. It will truly change the way digital content and other application-heavy users work by simplifying and streamlining tasks to make them even more productive." The laptop incorporates a built-in digitizer and color calibrator, NVIDIA Quadro FX 3700M 1GB graphics, the Intel Centrino 2 processor, dual hard drives with RAID configuration, up to 8 GB of memory, wireless connectivity, and an optional Blu-Ray DVD player. 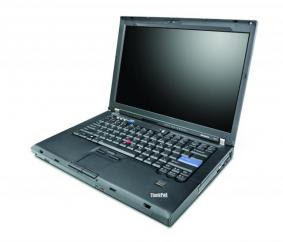 The W700 was created with designers in mind, but the laptop will appeal to data and graphics-intensive users in all fields. The 17-inch screen provides more than twice the resolution of typical displays, and its 72% color gamut provides more than 50% greater color intensity than typical displays. The workstation supports HD video, DVI, Display Port and VGA. The W700 also includes impressive new features sure to appeal to the graphic design crowd. The digitizer maps images to the entire screen, or an area defined by the user, enabling easy configuration of images, and the color calibrator automatically adjusts the display's color up to four times a month, keeping images accurate. Five USB ports and a 7-in-1 multicard reader allow easy content management, and models are available with Intel vPro technology for complete manageability. The W700 can be equipped with dual hard drives, with one of them being solid state drive storage, for maximum mobile capacity. The workstation features WLAN, WWAN2, and WiMax connectivity, and is compatible with Bluetooth and ultra wideband technology.